This December a set of autonomous vehicles will start roaming the streets of Columbus, Ohio, in an effort to turn this bustling Midwestern community into the first smart city. The project, which is part of the Smart Columbus and DriveOhio initiatives, is the first step in launching a fully autonomous shuttle route in the city. 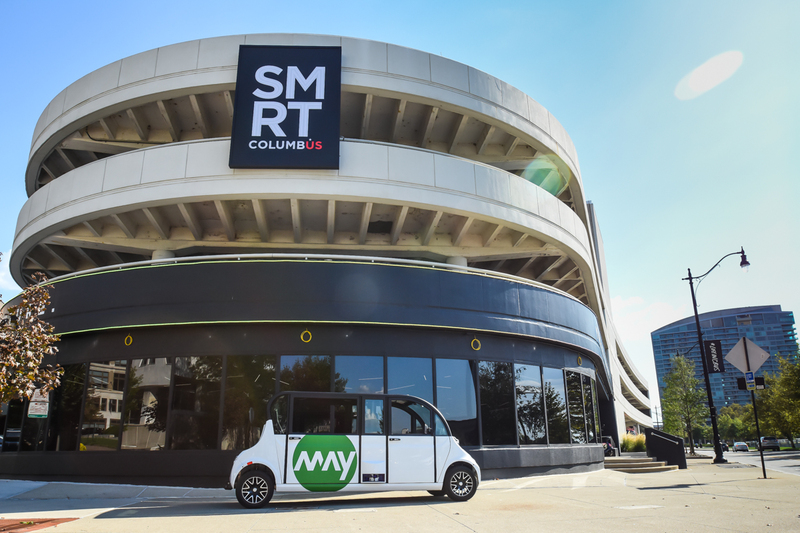 Michigan-based May Mobility provided the shuttles and the team is training the autonomous vehicles to navigate Columbus streets. May Mobility already launched their vehicles in Detroit and this is the second full implementation of the tech. The six-seater electric shuttles will follow a 3 mile route through downtown Columbus and the vehicles will start picking up passengers on December 1. Rides are free. May Mobility has already performed over 10,000 successful trips in Detroit. In Columbus the shuttles will drive the Scioto Mile loop, a scenic route through the city and by the Ohio River. A large digital display will show system information and there will be a single operator to oversee the trip and take control in case of emergency. Founder Edwin Olson is a robotics professor at the University of Michigan and his team won the MAGIC competition in 2010. Columbus won the $40 million Smart City Challenge in June 2016 to test and implement smart city tech.